Could have had a few different dishes to offer. was looking for pork chops or ribs. Had only 1steak entre(did not mention size) along with hamburger. Many Italian dishes offered. Prices reasonable, service was very good. Atmosphere very nice. Service was great. Food was delicious. Prices reasonable. Not a lot of different dishes to choose from. Many types of pasta dishes offered, pizza. Food was good and fireplace in the dining room was nice. Bathroom was very cold. Great food and friendly staff. Great local spot! another great Amerigas Christmas party here !! Food was fantastic! The food is excellent! The atmosphere is great too. Quiet and they don't rush you. Wonderful date night location! Service a bit slow, but some stuff made to order, so roll with it. Have been here several times, and food has been solidly tasty and fresh. Choose judiciously from menu, can get pricey, but fish fry and burgers good values. A surprising gem in the middle of nowhere! I recommend everything. The folks are always treating you like family. The food is out of this world. The Alfredo. The pizza. Fried mushrooms... what? So good. Take a visit. Never disappointing. Fabulous Food!! First time having their pizza. One of the best I've ever had!! The food was delicious. I had a veal dish my friend had the macaroni and cheese with steak. Yummy macaroni and cheese with filet and great service. Good food and excellent service, will eat there again!!! Did a great job and reasonable pricing. Highly recommend! A little pricey but worth it. Really awesome food and great selection of beers. The service was great at the bar and sitting down at the table. Great menu items and great service first time there. Will be back soon. BEST service ever and the food os to die for! Awesome food, always. And awesome service. Chicken Livers are a must for an appetizer. Always happy and full when I leave this place! Food was excellent. Portions are moderate. You probably won't be taking anything home. An out of the way gem, great food and drinks! Great local restaurant, friendly and personable. A good selection for anyone's taste. Wine choices for every meal. Most people order beer, many choices. Pizza is superb! Loved our dinner's tonight. Awesome and friendly staff, will definitely be back. I had the roasted duck. It was quite delicious. Tammy had the lobster which was also nicely prepared. The veggies were incredible. The environment was relaxed and comfortable. My only regret is that we did not hit this place sooner since it is only 2 mile from home. Next stop will be for Tammy's birthday later this month. Everything I had eaten there has been delicious. But my favorite is the pizza the best I ever had. We had my husband's work party on 12/9/17. Appetizers and dinners were excellent! We also go almost weekly, wonderful atmosphere and great food! Their waitresses are very good and friendly. I would highly recommend this place ! Food and atmosphere are excellent. Will highly recommend anybody. Excellent food, great atmosphere and awesome friendly owners that care about their customers, staff and the community. I highly recommend it! Great service, friendly folks, the food - incredible. Glad I stopped in, as I travel. Always a great experience and amazing food! Definitely is our go to place when we get a date night! Good food but small portions for the price. Water is terrible and they charge for bottled water. Stopped in for dinner before a concert at SPAC. Great food, great atmosphere, great service! Would definitely go again if we are in the area. Very good freshly prepared food. Great food, great service! Steak melted in my mouth! Chicken livers are excellent! Food and service are excellent. Love it here. We go once a week! Every dish is cooked to perfection. Visited Abeel's for the first time today, was not disappointed. Wonderful service, warm atmosphere, great food. Can't wait to go back! 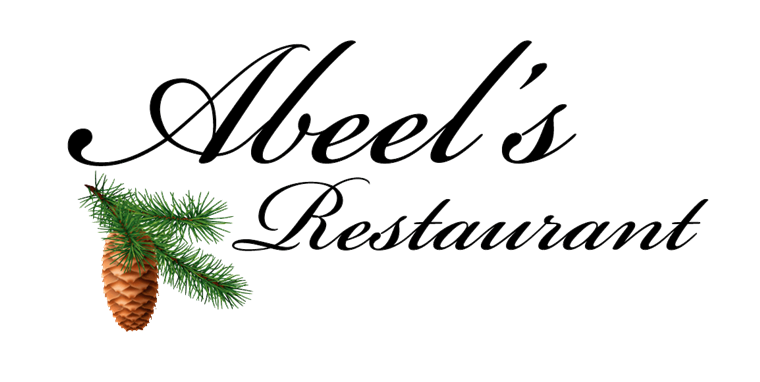 My husband and I dine at Abeels often. We have had most everything on the menu. Every dish served to us was top notch. The wait staff are very attentive and friendly. Looking forward to another visit in the near future!